We have all been there. A simple argument spirals out of control, the wrong words are said, and suddenly you find yourself in the dreaded doghouse. Whether you are a newlywed couple or a couple of people growing old together, you do not want to let a single fight ruin your relationship. 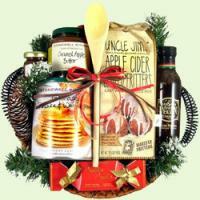 You can start to turn things around and earn your way back from the doghouse with the right gift basket. A romantic gift basket filled with everything you need for an intimate night in is a great way to say "I'm Sorry" and "I Love You." 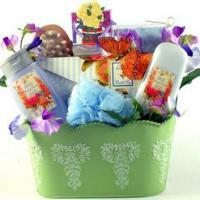 Pamper your spouse with a spa gift set to get back in their good graces and put your relationship back on solid ground. LOVE, like a fire, it requires constant tending. Adorable Gift Baskets can help you fill the air with romance for your spouse, girlfriend or boyfriend with romantic gift baskets delivered directly to their door. It's not the size of the basket, though; big or small, a romantic gift basket from Adorable Gift Baskets is meant to hold everything that you want to express. When romance is in the air, it's time to lavish them with all the luxuries they desire. 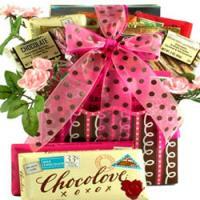 Our romantic baskets contain items and foods designed to excite the senses and to deepen their love for you. Romantic gift baskets, loving gifts and presents to pamper the one you love come in all shapes and sizes, and they can be practical, romantic, relaxing, and fun. Gift baskets are perfect for Valentine's Day, your wedding anniversary, or anytime you want to remind them of your passionate love. Romantic gift baskets can come packed with a stuffed animal, cookies, spa bath products, chocolates, and other unique gifts. Adorable Gift Baskets can even deliver your special gift basket right to their door with a love note as an added gesture. Want to set the mood for romance on your wedding anniversary? She'll adore one of our luxury spa gift baskets, or an "I love you" teddy bear gift. Adorable Gift Baskets also features deliciously-baked cookies packaged in a creative gift basket for those special romantic moments. Or, you can say I love you with chocolate. Chocolate can melt almost any woman's heart, and one of our Ghirardelli chocolate gift baskets is sure to capture her affection. On Valentine's Day or her birthday, romance her with breakfast in bed basket filled with breakfast treats such as coffee or hot tea, strawberry jam, cookies, pancake and waffle mix, honey, and more. If she's not a morning person, plan a lunch picnic for just the two of you at her favorite scenic park. Spread out a comfortable blanket and surprise her with a picnic gift basket, fragrant roses, and two wine glasses with her favorite beverage. And don't forget the romantic music CD! Romantic gift baskets delivered to the love of your life can also work wonderfully for marriage proposals, holidays, or anytime you want to say "I love you!" 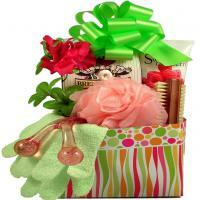 Adorable Gift Baskets provides a variety of romantic baskets to meet every need. You can deliver just the right message of love with a romantic gift basket and never leave your computer desk.